Supports all external storage devices like pen drive, SD card, etc. The hard drive reader software can be installed on all versions of Windows Operating System like Windows 10, 8.1, 8, 7, Vista, XP etc. 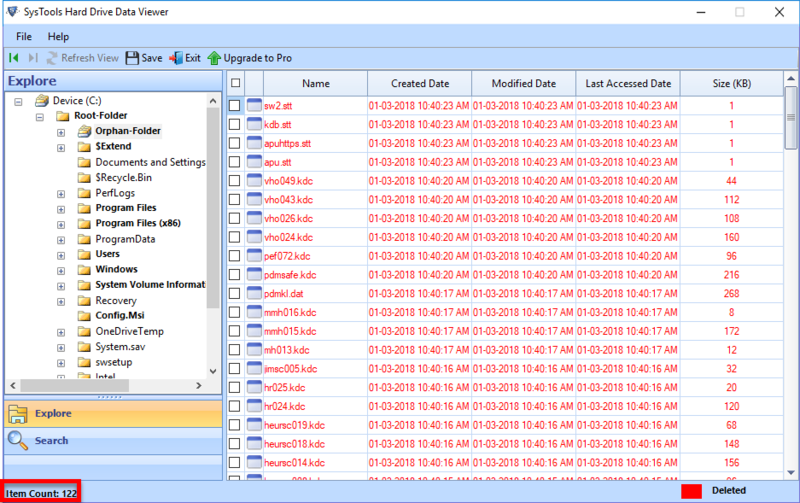 NTFS file system viewer extracts items from hard drive and loads them on the software. It retrieves all data like images, audio files, documents, video, powerpoint files, etc., from selected hard disk. The tool displays data in the same manner as the original one. 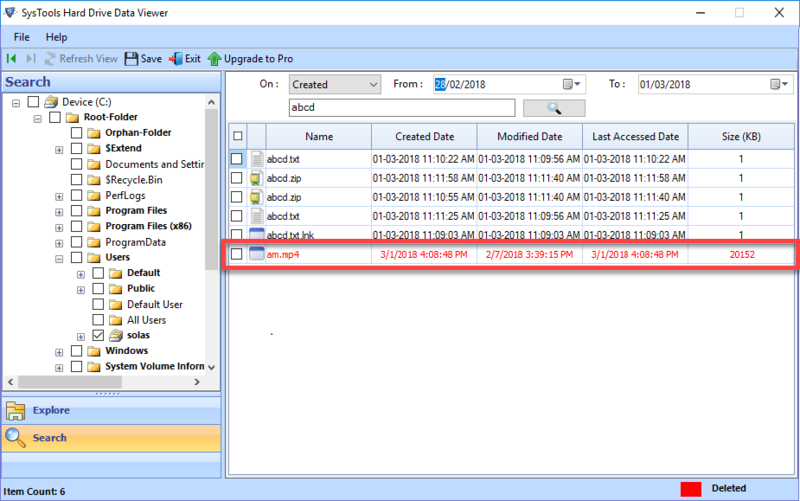 Free GPT partition viewer is having ability to retrieve shift deleted or permanently deleted data from the hard disk. No matter whether the files are lost intentionally or unintentionally, freeware will work in both cases. The deleted items will be highlighted with red color on the middle pane of the explorer. 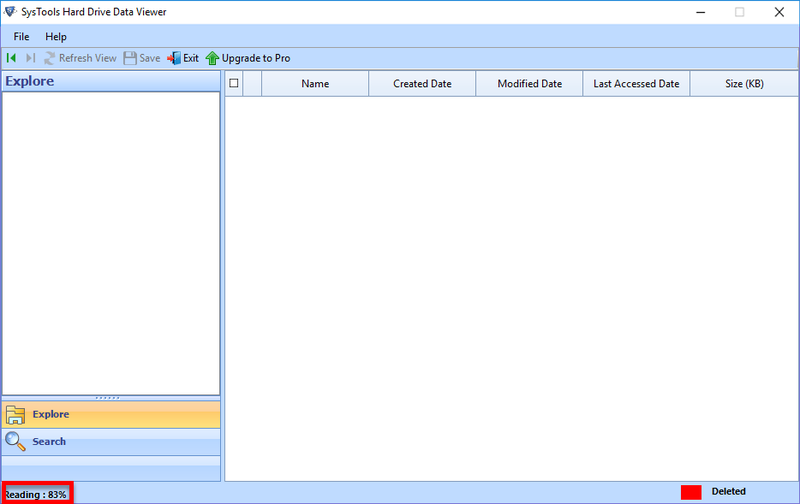 Hard Disk file reader is the smart tool, which detects all the partitions of a PC on its own. It will be displaying each partition with all its related attributes. Users just need to launch the application on machine and then, software will instantly load all system partitions in front of them. 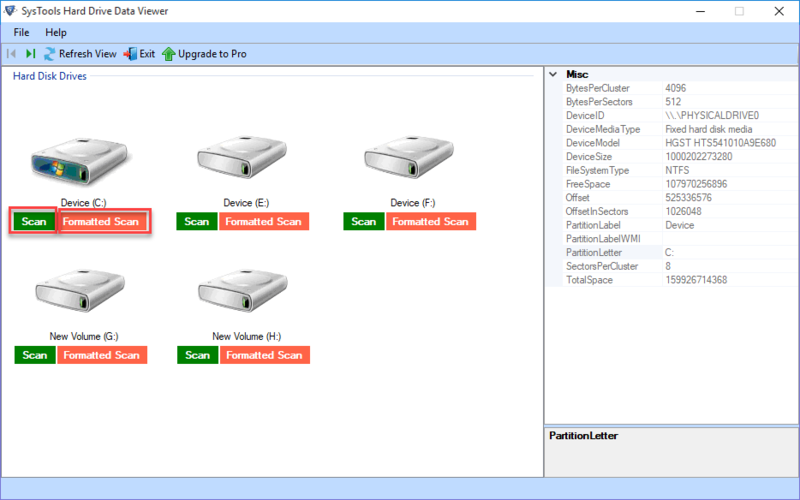 External hard drive viewer restores items from internal as well as external storage devices. These external devices can be any like pen drive, hard disk, memory card, etc. Apart from this, the free utility works with any size of hard drive, file system, or partition. GPT / MBR partition viewer permits its users to read GPT and MBR partition table on Windows 10, 8.1, 8, and all below versions. Whenever a person is facing any problem while opening Windows partition, he / she can use this free utility to troubleshoot any kind of the related issue. How to view all hard drive partitions with help of your raw file system explorer? Will your tool extract and open media files from memory card of the smartphone? Yes, just attach external memory card with your PC and then, launch SysTools hard drive data viewer. Choose recently attached external storage device in the software and let tool scan all the data. Now, you will find you deleted image listed in front of you, which will be highlighted with red color. Can I view NTFS partition in Linux operating system via your free utility? No, this free utility is workable only upon Windows operating system. Hard drive reader for PC is compatible with all editions of Windows i.e., 10, 8.1, 8, 7, and all prior versions. By mistake, I have chosen the wrong hard drive in your tool and it has start scanning it. Is there any process to stop this ongoing scanning procedure? Yes, at the top left-hand side of the screen, you will find a stop button. You can click on this button and then a dialog box will appear. Click on Yes, if you are sure that you want to stop this procedure. Is there any saving feature provided by your free product? No, in order to activate file saving feature, you have to purchase the software. You can go to SysTools Hard Drive Data Recovery Software this link to enable recovered data saving feature in the tool. Being a new person to the technical field, it was difficult for me to open NTFS file. I was in a big trouble when my team leader asked me to provide him a free solution to this problem. Oh god, really a terrific moment for me! But, thankfully I found this SysTools hard drive viewer and without any challenge I was able to open and explore NTFS partition on Windows 10. It is an all-in-one free solution to view all hard drive partition without data loss. The disk in drive G is not formatted do you want to format it now − this error was stuck with me like anything. It became headache for me when I was trying to view with G: external drive of my PC. Meanwhile, my friend recommended me to use this free hard drive data reader software. Since the tool was a freeware therefore, I was in a doubt that will it work perfectly or not? Still, I tried! The result of my doubt was negative and the tool was beyond my expectations. Thanks a lot SysTools for coming up with such a brilliant utility and that to for free.